november 2007 snowfall [9 photos] we were surprised when it snowed here last year in december. this year, it snowed in november! 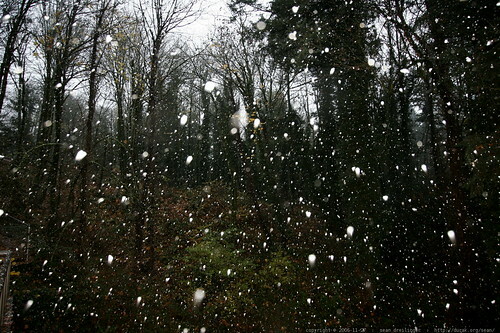 when we woke up this morning, we looked out the windows and it felt like we were sitting in our own little snow-globe. our heat pump went into “emergency heat” mode and i got the all-wheel-drive car out of the garage for use throughout the day. 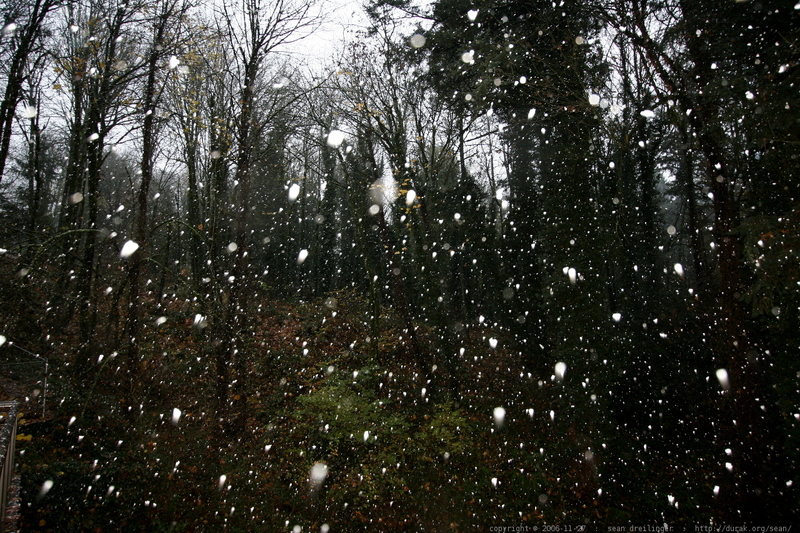 it snowed on and off into the afternoon.